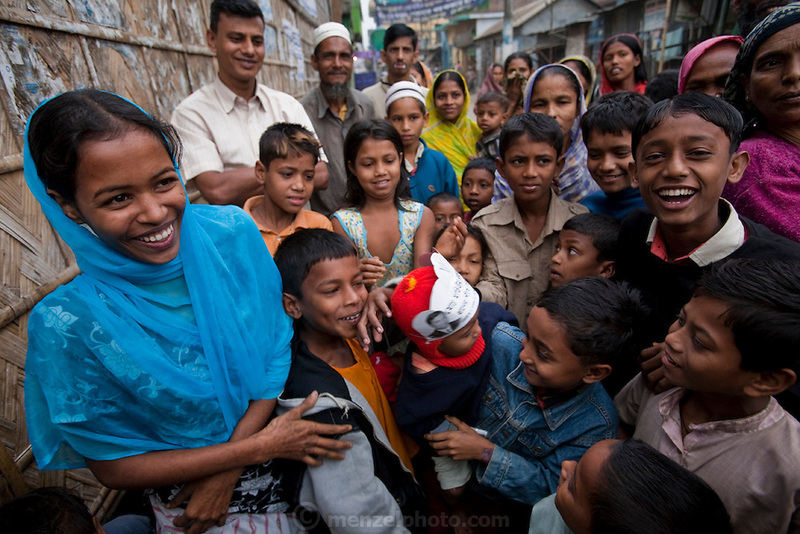 Ruma Akhter (far left) with her neighbors outside her family home in Dhaka, Bangladesh. (Ruma Akhter is featured in the book What I Eat: Around the World in 80 Diets.) MODEL RELEASED.